Can a movie unite a country? 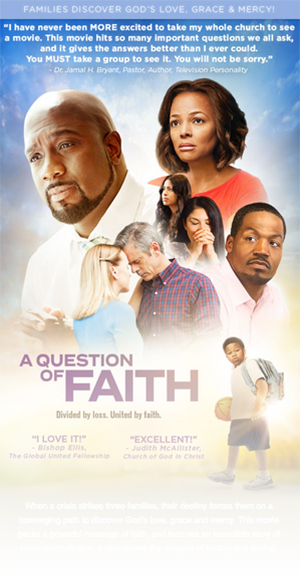 In “A Question of Faith“, the unthinkable unites three families from different backgrounds all on differing sides of tragedy. 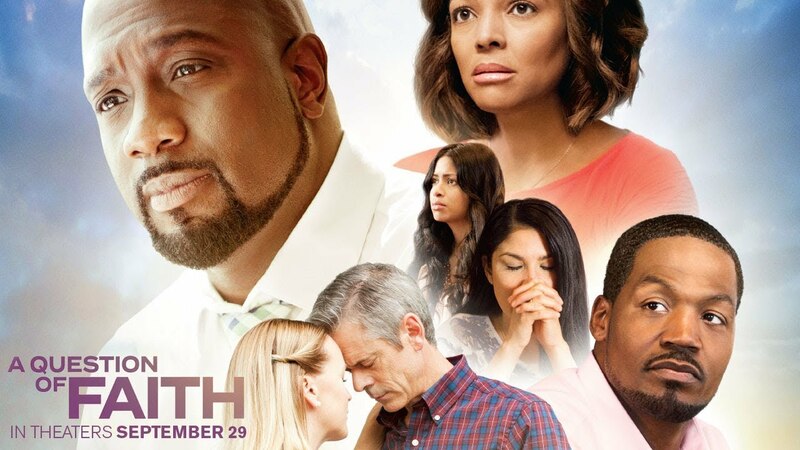 In the latest installment of faith on the big screen, Pure Flix and Silver Lining Entertainment presents: “A Question of Faith” which opens this weekend. For weeks now, Americans have succumbed to incessant bickering about football, politics, war, nuclear threats and other rather pressing issues. Meanwhile, other Americans and the Caribbean are struggling to rebuild following the devastation left behind by Hurricanes Harvey and Irma. But what if in order to bolster your faith, God set you on a collision course with tragedy? 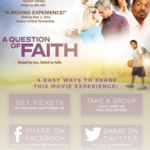 It all comes together in “A Question of Faith“, a movie that takes us on the journey of three families experiencing a faith journey life never prepared them for. 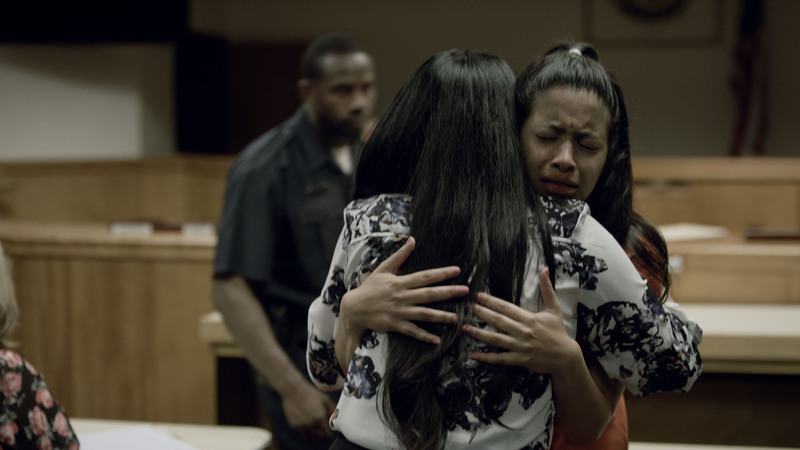 We’re often ill-prepared when tragedy strikes, but these three families find the strength to press beyond the many questions that arise amidst trial and hardship. The truth of this movie hinges not on what makes us different but what makes us the same. We’ve all experienced or experiencing doubt, denial and despondency. It’s in those shared experiences that we learn the truth about each other. Truths like: inherent goodness, hope for the future and the longing for a savior. Our response to trials and hardship often cause us to question our faith and relationship with God, but this movie will reinforce what we know and profess about a loving God that wants the best for us, even when things don’t go the way we plan for them to. In 2015 we discovered a new normal for feature films of faith. The portrayal of real-life scenarios replaced the somewhat staid formula of writing for audiences of faith. With the breakout success of the Kendrick Brothers’ War Room and tepid mainstream reception of the Erwin Brothers’ Woodlawn, Christian moviegoers were finally able to experience feature films that looked and sounded like films in theaters next door. 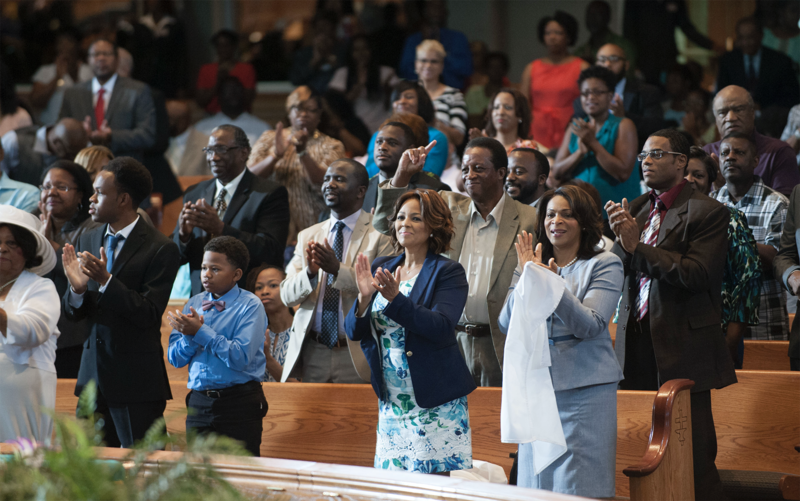 With its message and tone, “A Question of Faith” looks to make an impact at the box office much like “War Room”. 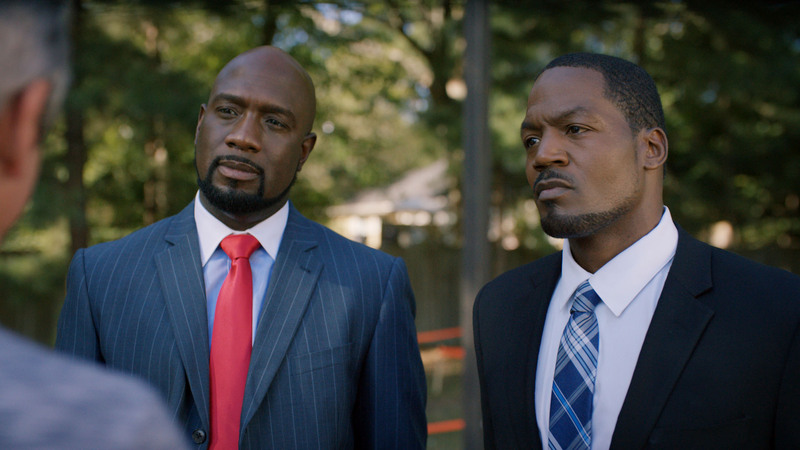 The initial screening at Megafest in Dallas, had all the early indications that audiences will love the film. This movie couldn’t have come at a better time for America. Not only is God no respecter of person, neither is tragedy. What often calms the noise in our lives is tragedy. It’s in tragedy that we find our common bond. It’s in tragedy that we search more diligently for the greater good in our fellow man. Watching the families overcome the strife in their lives leads me to this question…what will it take to bring us to our knees once this film ends? What will it be that buckles our defenses and bows us at the mercy of the Master? People are hurting all over the world, longing for a deeper sense that God is with them. Jesus Christ is the answer for whatever your question of faith happens to be. Hopefully, this movie will inspire you to live beyond the challenging moments that cause you to doubt or question everything you thought you knew about faith and truly develop a deeper sense of and connection to God. 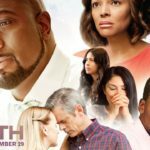 This stellar cast has re-defined star power in a faith film. 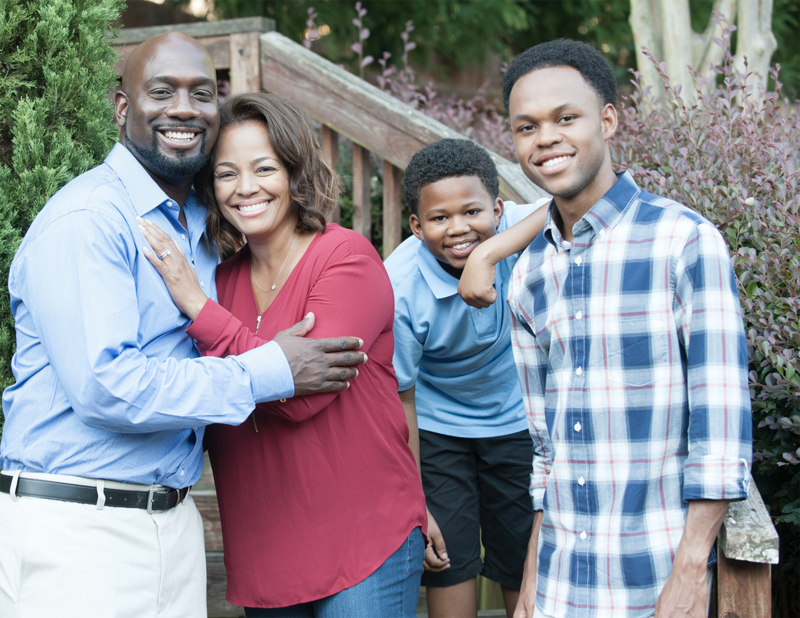 Legendary actress Kim Fields stars in the film opposite Richard T. Jones. T.C. Stallings , Gary Alan Williams, C Thomas Howell, Amber Nelon-Thompson, Marliss Amiea, Renee O’Connor, Donna Biscoe and contemporary Christian artist Jaci Velasquez round out the amazing cast of big and small screen stars. The differing vantage points of the film are woven together by the film’s soundtrack. Music Supervisor Nelson Jackson, III excelled with music selections that help tell this amazing story! Covers of choir classics like “Call Him Up”, “Thank You Lord” and an operatic rendition of “The Lord’s Prayer” stand out on an album that features great original music. 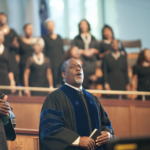 In addition to great songs, the soundtrack features great singers like: “Y’anna Crawley, Amber Bullock, Cecil Thompson, Amber Nelon-Thompson, The Nelons, Deloris White and the “A Question of Faith” Ensemble. 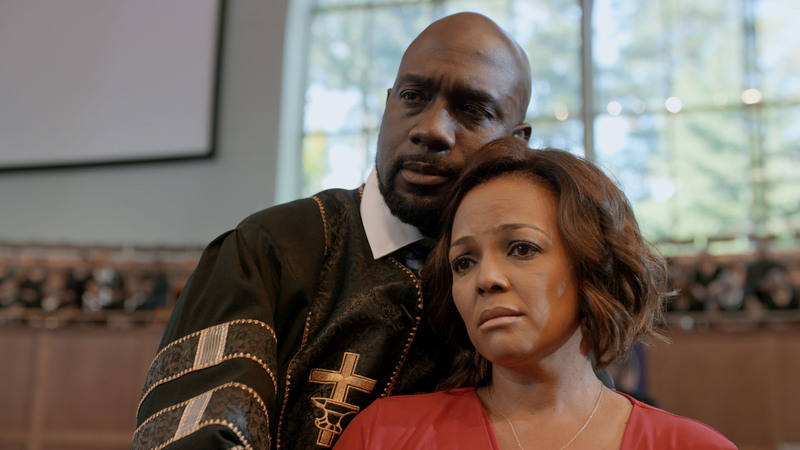 With a soundtrack that features a wide variety of black gospel, southern gospel, and contemporary Christian music is the perfectly compliments the screenwriting. You won’t be disappointed! This is “AQOF _ What Leaders Are Saying” by Motive Entertainment on Vimeo, the home for high quality videos and the people who love them. 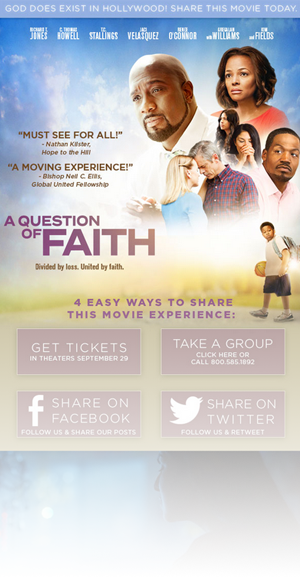 A Question of Faith, releasing in theaters September 29, 2017, tells a moving story of three families from different cultures, who live in the same community; they are complete strangers living vastly separate lives until a texting and driving accident thrusts them onto converging paths where they discover God’s love, forgiveness, grace and mercy. “God’s power is glorified in this film in a way I’ve personally not seen before,” says the films producer Angela White. 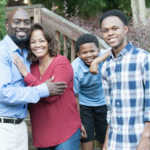 Pastor David Newman is a loving husband and father, set to take over his dad’s church while neglecting the promises he’s made to his 12-year-old son, Eric. 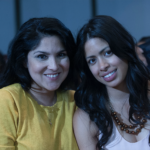 Kate Hernandez is a spiritually driven single-parent and owner of a local restaurant. 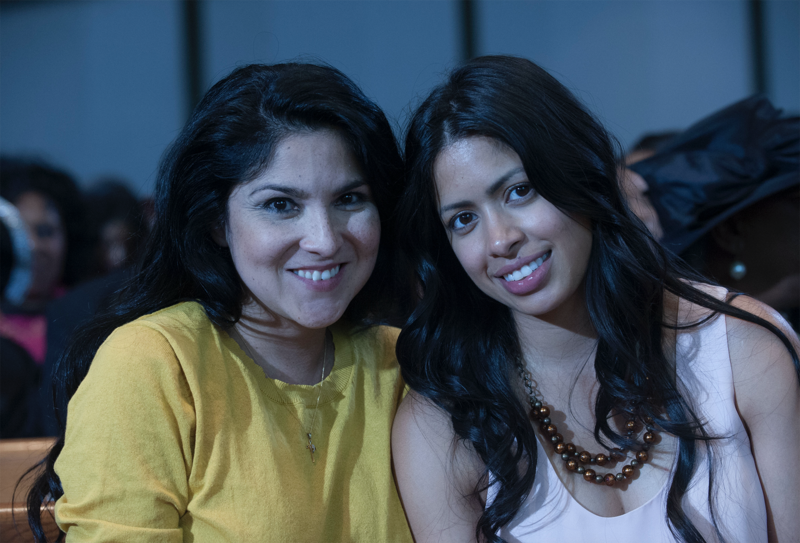 Her daughter Maria is a free-spirited teenager aspiring to be the first in her family to go to college. John Danielson is the owner of a failing construction company who sees his daughter Michelle’s fledgling singing career as a way out of financial trouble. The lives of these strangers collide when two twists of fate strike back to back. 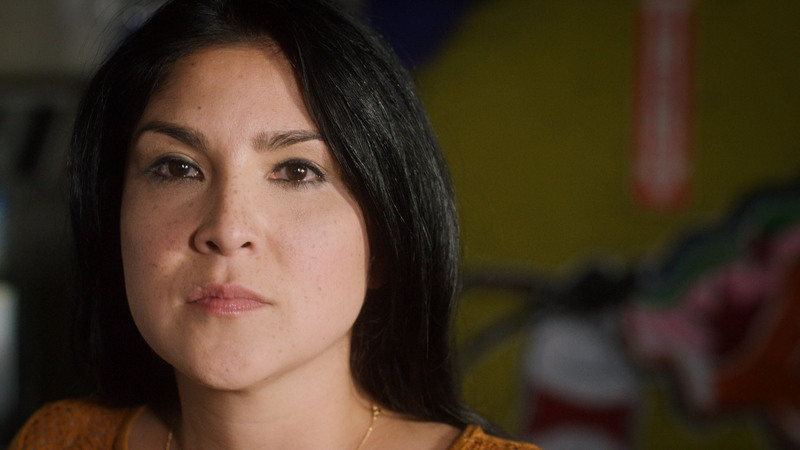 The first: while texting and driving in her car, Maria accidentally hits Eric, which lands Maria in jail and leaves Eric’s family with an unthinkable dilemma. The second: while auditioning for a major record label, Michelle collapses, leading to a discovery about her health which rocks the very foundation of her father’s dream. 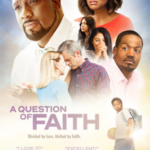 This is “A Question of Faith: Bishop Neil C. Ellis” by Motive Entertainment on Vimeo, the home for high quality videos and the people who love them. 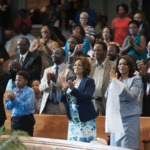 Along with a strong message of faith, the talented and well-known cast delivers a compelling story line that touches on timely topics such as racial prejudice, the consequences of texting and driving, and it also addresses the debate surrounding organ donation. 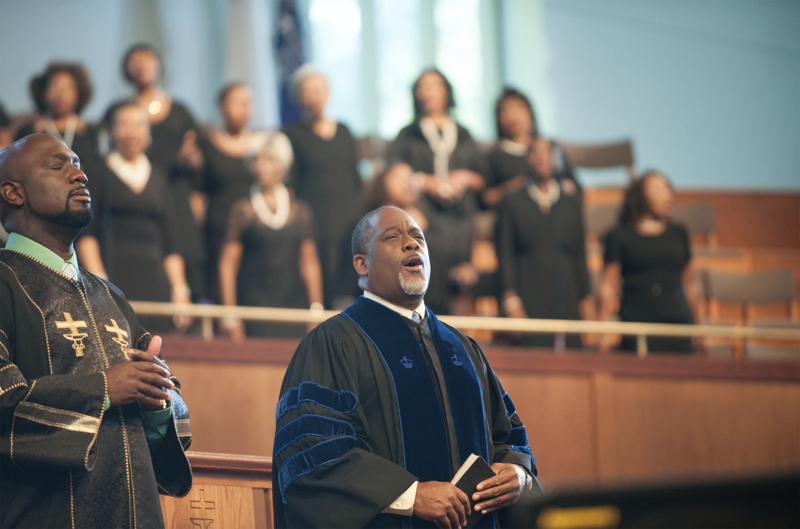 The producers expect the film to resonate strongly amongst churches and it also features a strong Gospel music soundtrack throughout.